Mohammed arrived in Indianapolis with a language barrier that many refugees face. He had not learned English: however, he did have a friend who told him about a high school for adults called The Excel Center that helped students with barriers graduate high school. His friend had been enrolled and had recently graduated with his high school diploma. It didn’t take much more to convince Mohammed, who was ready to learn. He enrolled at The Excel Center and took advantage of the time prior to beginning classes to teach himself English. Determination and an impressive level of self-discipline guided Mohammed, and he began to pick up the language. The school term began June 2016, and Mohammed was ready. The Excel Center was challenging, but the school staff was supportive and encouraging. He was grateful for their steadfast patience as he adapted to American culture and grew his language skills. Starting with zero credits, an elementary grasp on the language and the whirlwind of a new culture didn’t slow Mohammed down. He completed the requirements to earn a high school diploma in less than two years. He proudly walked across the graduation stage June 2018. In addition to his diploma, he earned two industry recognized certifications through The Excel Center. He was able to apply the business skills and processes he learned when he and his father opened a small business that handcrafts fine leather purses and wallets. During his time at The Excel Center, he also developed an interest in the medical field and knew that he had a heart to help others. 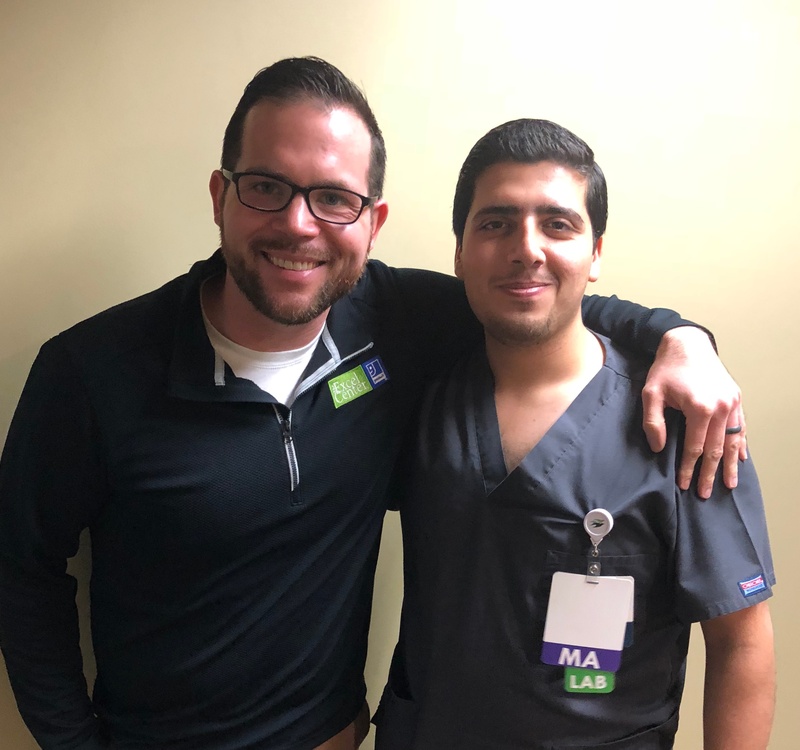 Goodwill connected him to the Certified Clinical Medical Assistant (CCMA) course that teaches everything from the basics of anatomy to the preparation and administration of medications, as well as assisting with minor surgeries and advanced phlebotomy. Mohammed then received the opportunity of an externship with a local clinic through the assistance of Goodwill TalentSource®. The externship provided great learning opportunities for Mohammed. He spent several weeks working and learning in a live clinic setting. 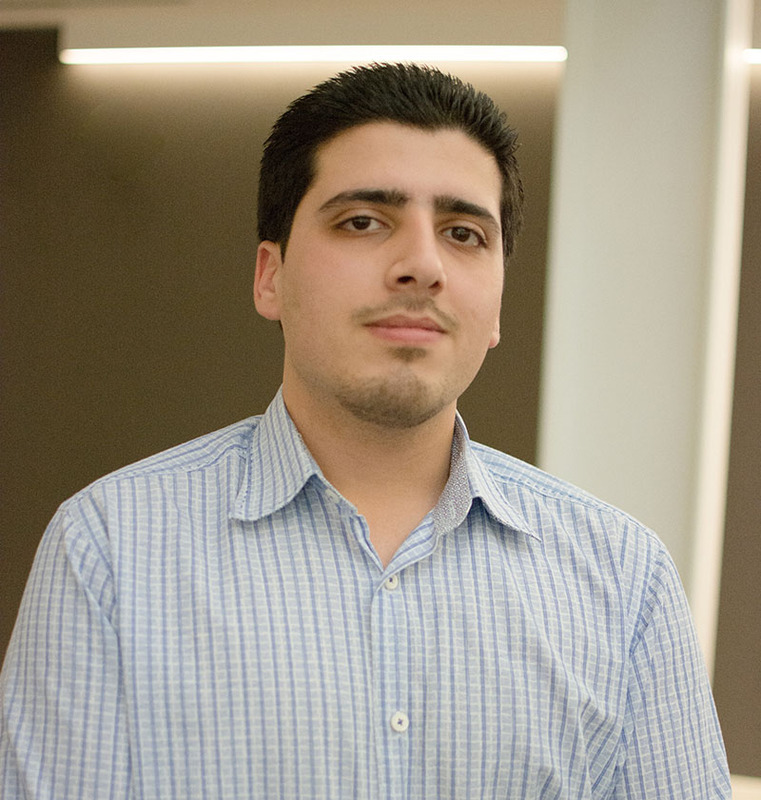 Now a high school graduate, certified as a Clinical Medical Assistant and some workplace experience under his belt, Mohammed was ready to start his career and a path to higher education. Jimmy Sedam, a Goodwill Guide for The Excel Center, began working with Mohammed on developing his resume, interviewing skills, and job searching. Together they navigated the process of enrolling in Ivy Tech Community College, accessing financial aid and selecting courses. The hard work has continued to pay off, and he is on the path to reach his goals. 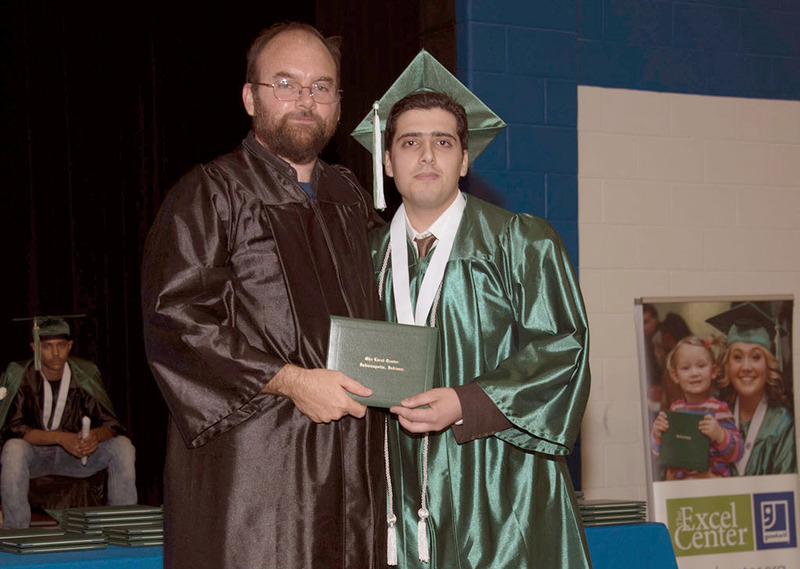 Mohammed now works full-time at an area hospital and attends evening classes at Ivy Tech. He’s pursuing an associate degree with the ultimate goal of earning a bachelor’s degree in nursing. Mohammed is also the recipient of a Goodwill McClelland Scholarship that is helping with some of his school-related costs.